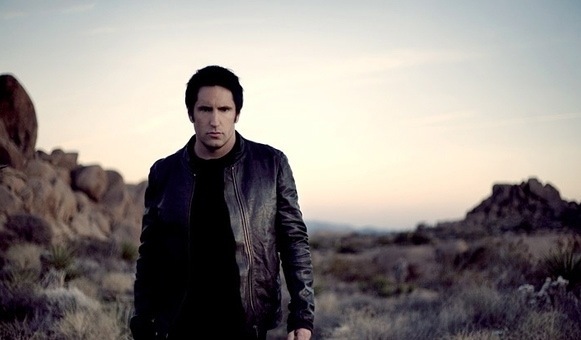 Trent Reznor participated in a Reddit AMA today, where he was asked a variety of questions about Nine Inch Nails, How to destroy angels_, live shows, recording equipment, and more. He also dropped a few noteworthy tidbits, including his participation on the new Queens of the Stone Age record, the status of his HBO mini series Year Zero, and whether he’ll continue scoring the “Millennium Trilogy films. He also teamed to tease the possibility of an upcoming Nine Inch Nails tour. We’ve rounded up the noteworthy questions and answers below. Aside from How to destroy angels_, what else is on the horizon? A number of things. Tweaking some things for the HTDA full LP (coming in Spring), helping Josh [Homme] out on a new QOTSA track, working with Roy, starting rehearsals for two bands. I spend a lot of time and energy thinking about how music is presented live. Lights in the Sky was probably my favorite live show I’ve worked on so far. This was a real collaboration between myself, Rob, Roy Bennett, and Moment Factory. We set out to make an experience and I really felt proud to put that on every night. Cryptic additional comment: 2013. This is currently in a holding state. We didn’t find the right match with a writer, and really have been avoiding doing what we should have done from the beginning: write it ourselves. We = Rob and myself. This project means a lot to me and will see the light of day in one form or another. The 5.1 mixes are done and sound amazing. Alan [Moulder] was the only person who could have possibly done it, and he did not disappoint. There are a couple other elements involved that we want to get right before we put this into production. These involve packaging and additional content. Patience, my friends. My interest in this would be contingent upon [David] Fincher’s involvement. Generally, they’re lazy, sound bad, and are somewhat boring. I’m always looking to blur the line between the theatrical and the visceral. I strive to make a show that resonates on a purely emotional, raw level, and at the same time smartly evolves from one place to another quite unexpectedly. Several ideas came up, including blowing up a building, actually incarcerating fans, and staging an appearance of the Presence in real life. Can’t win em all. We’re open to this. I’m a big believer in remix culture and would have loved to have had access to my favorite artists’ stems when I was coming up. Of course there was the issue of primitive technology way back then… I don’t know, do you want them? “Why on Earth would you sign back up with a label? I’ve heard your logistical reasonings, sure. To get the word around and become more well known, sure. I get that.